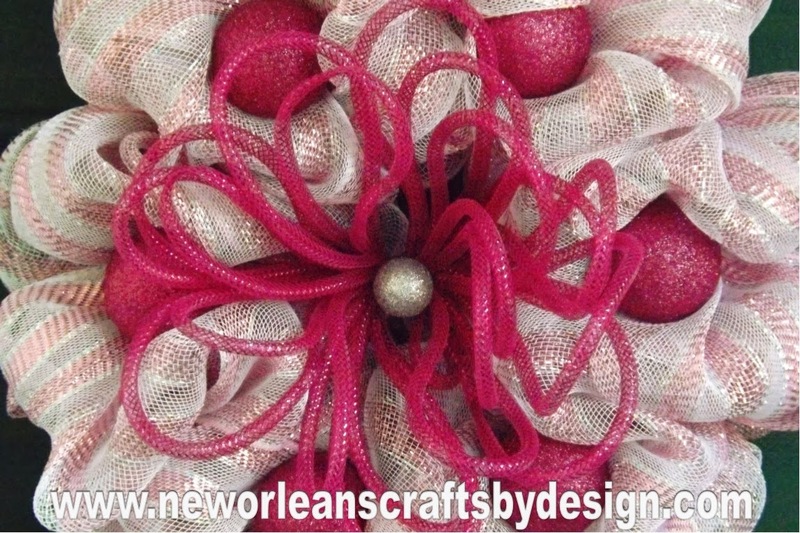 Beautify you home for the Holidays with this gorgeous wreath!! I started with a 12" wire wreath form. I used Pink and White Striped Deco Mesh with Silver Accents. 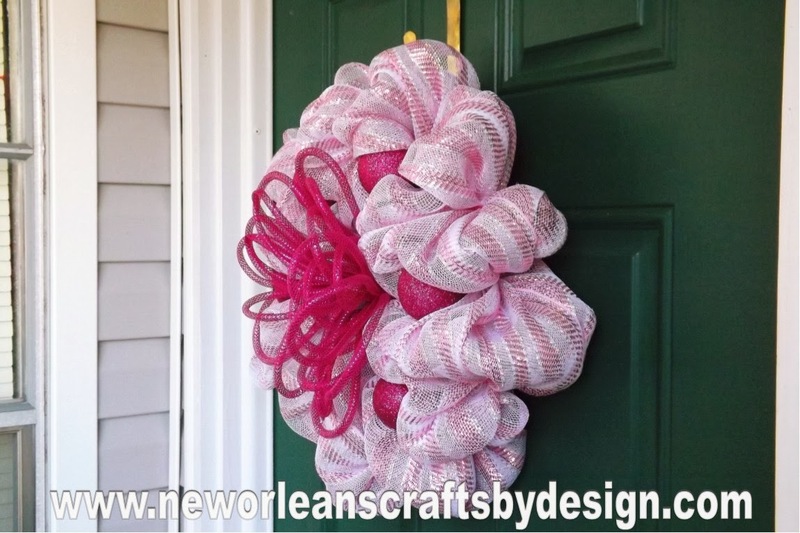 I used two layers of deco mesh to give a little more fullness to the wreath. I added bright pink glitter shatterproof ornaments and a large deco flex tubing bow with a small silver glitter ornament in the center. 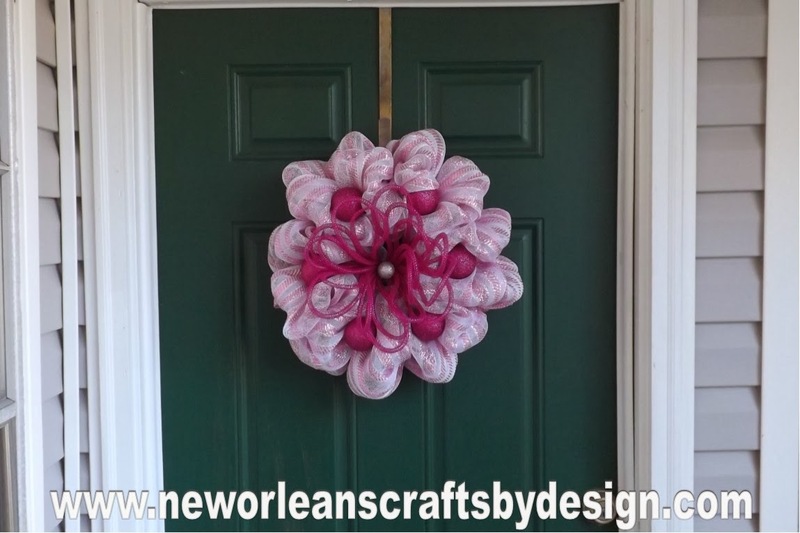 The completed wreath measures 18" wide and 8" deep. 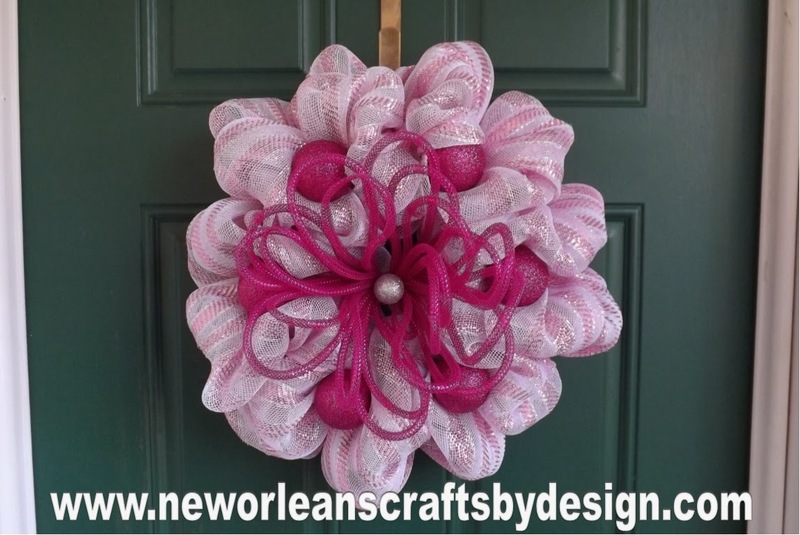 Brighten up your home for the holidays or make it a one of a kind gift for that special someone.